On Tuesday, March 24, the director of the Herman B Wells Center for Pediatric Research and an Indiana State University Distinguished Alum will speak at ISU as part of the Biology Seminar Series: "From Molecules to Ecosystems." Dr. Mervin Yoder, director and associate chair of basic research for pediatrics, will speak at 4 p.m. in room 12 of the Science Building. Yoder will speak about blood cells and about his current research regarding the investigation of the role played by several integrin molecules in a discussion entitled, "Blood cells are derived from endothelial cells but endothelial cells are not derived from cells." Yoder, who was named a Distinguished Alum by Indiana State in 2008, is the second Annual Life Science Initiative Speaker. "The Life Science Initiative is an opportunity for economic growth for Indiana and as a distinguished alumnus Dr. Yoder demonstrates one potential career path for an ISU degree," said Rusty Gonser, ISU assistant professor of biology. "Additionally Dr. Yoder's primary research interests are currently being discussed at a national level." Yoder earned his bachelor's degree from Malone College in Canton, Ohio in 1975, and went on to get his master's from Indiana State University in 1976. In 1980, he received his M.D. from the IU School of Medicine. 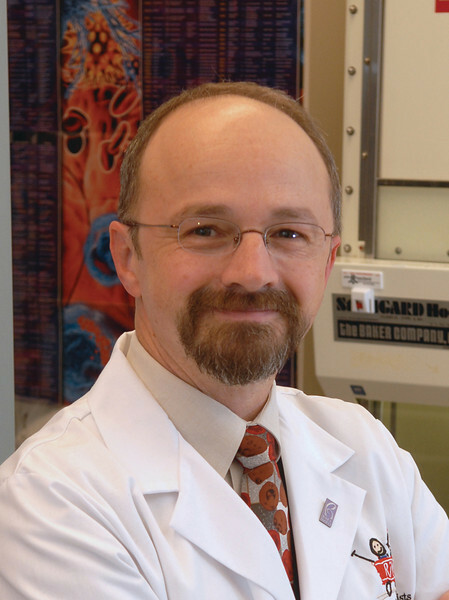 In addition to being director of pediatric research, Yoder is also a professor of pediatrics, biochemistry and molecular biology. The series, sponsored by the ISU department of biology and St. Mary-of-the-Woods College science and math department, brings in internationally recognized research scientists to speak to students and community members. Additional funding for the series is provided by the Lilly Endowment. For more information, visit http://www.indstate.edu/darwin/ or call 812-237-2501. Refreshments will be served from 3:30 to 4 p.m. with the seminar beginning at 4 p.m.